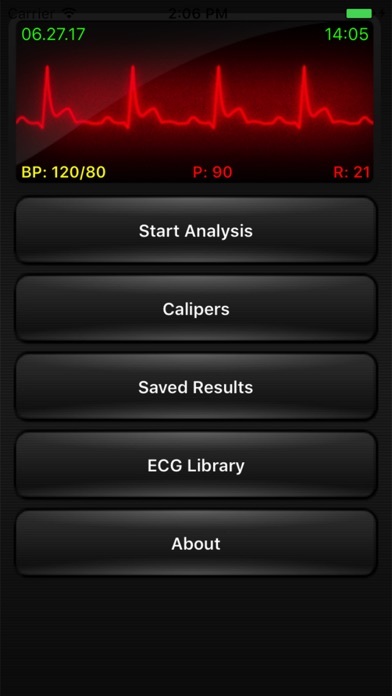 This app helps you to expertly interpret ECGs in seconds. 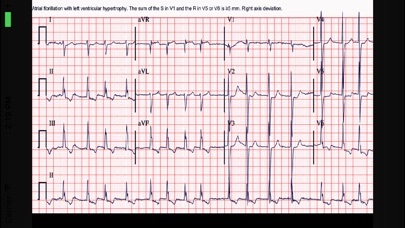 ECG Interpreter includes an extensive collection of common and unusual ECGs. Use the built in calipers to measure and calculate rate, intervals, segments, irregularity, and wave amplitudes. 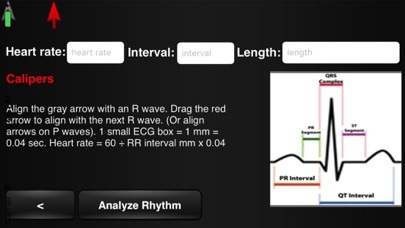 Use your iPhone to determine rhythm regularity and measure the PR and QT intervals. ECG Interpreter is essential for students who need to learn to read ECGs, including physicians, nurses, students, and EMTs. 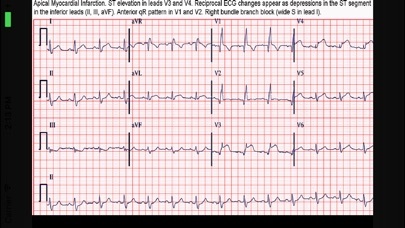 Learn the same systematic method that cardiologist use to interpret ECGs. Learn to assess ischemia, myocardial infarction, arrhythmias, heart blocks, conduction delays, supraventricular and ventricular tachycardias, hypertrophy, axis deviation, electrolyte disorders QRS axis, rhythm and rate based on individual characteristics. The cardiology processor produces an interpretation and treatment report that can be saved, e-mailed, or used in electronic medical records. 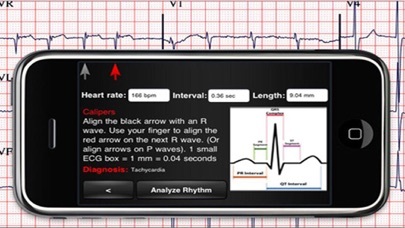 Key Features: • Built in calipers for measuring intervals, rate, and amplitude • Calipers can be used to measure any object, including skin lesions and pupil size • Follows 2014 AHA/ACCF/HRS/WHO guidelines • New treatment guidelines for ECG abnormalities • Zoomable sample ECGs with common and unusual findings • Calculate rate, rhythm, axis, hypertrophy, and more. • Generate a report, which can be e-mailed, saved, or printed. This app is for educational purposes only.